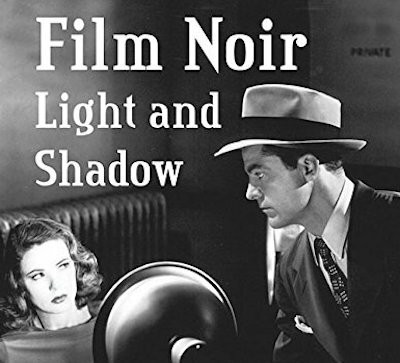 Film noir experts Alain Silver and James Ursini have edited a new anthology on the subject, Film Noir: Light and Shadow, which was published earlier this year. There are chapters on various stylistic aspects of noir, and assessments of some key noir films, including the indispensable Double Indemnity ("an exemplar of film noir visual style and a pivotal, influential film that spurred the classic noir trend") and Touch of Evil. The highlight is a chapter on the often underrated Stranger on the Third Floor. Silver and Ursini previously co-wrote American Neo-Noir, Film Noir, and The Noir Style. They co-edited the superb Film Noir: The Encyclopedia with Robert Porfirio and Elizabeth Ward. The new book (which feels like a continuation of their Film Noir Reader series) includes essays by Silver and Porfirio, though Ward has been somewhat relegated this time around: she "generously assisted with the proofreading." Ursini's role also appears comparatively limited, whereas Silver designed the book and wrote the introduction.